I know turkey season is long gone, but check out these birds feeding almost in my back-yard. The one on the right is a big Tom with a least a 10 inch beard, and the other two are hens. They were about 80 yards away so it’s not the best picture. My brother in law only lives a few hundred yards from me, and he called the other evening, and wanted me to come down to see the turkeys. He owns about 8 acres including this hay field, and he’s been watching these birds for several weeks. I’m sure the hen, or hens, are nesting in one of his thick hedgerows. I hope they multiply and stick around in our area. We do have a few coyotes around, and foxes, so the turkeys have their work cut out for them if they want to “homestead” this area. I’d say the DNR’s plan to bring the Eastern Turkey back to Michigan has been a huge success. They are found in every county in the Lower Peninsula, and their range covers a good portion of the Upper also. 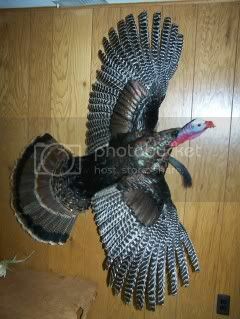 I got my bird back from my taxidermist, and it really looks good. I had it done flying, and it takes up a good section of my den wall. The wing span is huge, and it shows of the golden color variation in the tail feathers. My wife the “Jock!” Back in my late 30’s and early 40’s I used to run some 5-K races in and around Monroe. Two of my five daughters ran in high school on the cross country team, and track team. My wife came from a family where no one was involved in sports, and she doesn’t have a competitive bone in her body. Hey dear your way to fast for me, and beside that your good looking. Now if only I could loose about 30 pounds and run with her next year. That would be great. Ted Shinkle (on the right) and his brother Brad. Ted passed away this past Sat. June 20th at the Toledo Hospital. 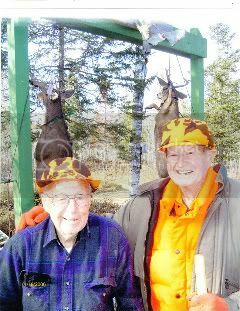 Ted was one special man, and a credit to every outdoorsman and hunter in Michigan. Ted had a passion for life, and never quit working right up till last weekend. He owned Shinkle flower Shop and Greenhouses in Temperance Michigan for over 40 years, until his son Gary, and his wife Sue, took over. He remained an active part of the business, and was never afraid to get his hands dirty, or deliver an order of flowers to one of his customers. Ted was 89 years young, and I say that reverently, as Ted was young at heart. And oh what a heart he had! He loved people, and he loved helping his fellow man, but most of all he loved his life long sweetheart Marge (Hatker) Shinkle. Their 65 year marriage was one that is rarely seen anymore, and they truly were totally devoted to one another. I just wanted to share something that sheds a little light on this one mans unique and wonderful life. About a year and a half ago I visited the Shinkle home in order to interview Ted and Marge about an upcoming feature article I wanted to write about Ted (then 87) and his 89 year old brother Brad. Marge had just fixed Ted lunch, after he had walked home from the nursery where he had worked the morning. We talked about the old days, World War II, Hunting, and family. Ted was so proud of his kids and grandkids, but he got a special twinkle in his eye when he talked of meeting Marge. You could tell they were still sweethearts, even after all of life’s ups and downs. I spent about 1-1/2 hours with the Shinkles, and had tons of hand scribbled notes. I could of spent the whole day there. Anyway as were winding down, Ted looks at his watch and says “Oops I’m ten minutes late, gotta get back to work!” With that he embraced his wife, gave her a kiss, and was off and running again. Marge explained to me that Ted never left the house without giving her a kiss, and she just seemed to “glow” as she talked adoringly of her tall handsome husband. Ted and Marge had four sons Ronald, Norman, Gary, and Robert. Teds oldest son Dr. Ronald Shinkle, Pastor of Lemoyne Baptist Church, will officiate, and interment will be in Toledo Memorial Park. You left a legacy of love Ted. It doesn’t get any better than that. Thanks for sharing your campfire with the Ansel’s. Hopefully this is not the end of the story. Baseball, Hotdogs, Apple-Pie, and Chevrolet? 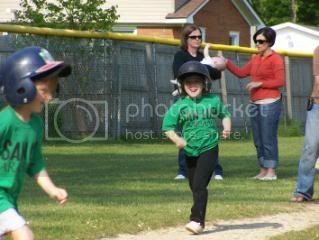 Granddaughter Ava scoring from third base. So far this summer there has been plenty of T-ball games to go watch, along with some softball games. I could’nt tell you how many “hot dogs” I’ve let “cool off” in my mouth! I love those little tube steaks, especially with chili. We have a root beer stand in Monroe that I used to go to as a kid, and they still serve the best tasting chili-dog around. Of course my wife is into calorie and carb counting, so my visits have to be incognito these days. Apple pie is kind of a rare treat anymore, but thankfully it’s a couple of my kids favorite dessert. Instead of cake they ask for apple pie on their birthday, and my wife makes the best. So I did have a piece just a few weeks ago. On my post, from several days ago, I had a picture of a large bird that I asked if anyone knew what it was. Reader John Grimes has identified it as a Sandhill Crane for anyone who was wondering. Thanks John. If your a Michigan hunter you probably know that our state will be having a “cross-bow season” this year. This is a controversial subject, as the Michigan Bowhunters Association has been against it from the get-go. The Michigan Department of Natural Resources and the Natural Resources Commission voted to expand Michigan’s crossbow hunting opportunities. The MDNR stated that the expanded hunting opportunities will help retain hunters and recruit new hunters. It will also offer a way for some hunters with disabilities or physical difficulties stay in the field. Under the new regulations crossbows may be used by anyone 50 years of age or older during the Oct. 1-Nov. 14 bow hunting season statewide. Also any hunter 12 and older may use a crossbow in zone 3 during any open hunting season, and during any season in which a firearm is used statewide. There will be a three year survey by the DNR as they monitor crossbow hunters in the state. So far those hunters using a crossbow must wear hunter orange, and shoot a bow with no more than 350 fps. A crossbow stamp is needed along with a crossbow license. At the end of the three year trial period the MDNR will evaluate the new regulations to see if anything needs to be changed or added to the regulations. The guy on the far right in this picture is my great uncle Duke Schiller, and beside him is my great aunt Ada. Ada is my grandfather Kelly Greer’s sister. That’s Dukes brother Ken sitting across from him. Both men were killed in action during WWII. Duke was just 43 years old. Clarence Alvin “Duke” Schiller was born to be a pilot, and during his day was the best pilot ever to come out of Canada, according to the New York Times. Uncle Dukes exploits were legendary, as his uncanny skill, as a pilot, earned him a reputation of honor and respect all over the world. At the time of his death he was the Senior Flight Captain with the Royal Air force Ferry Command. Uncle Duke was flying a lend-lease Canso airplane (pictured above) when it crashed off the Bermuda coast during a mission. Duke and most of his crew were killed, and he is buried on Bermuda. Duke had a colorful and fascinating career as a bush pilot, flying instructor, mercy flight pilot and hero, along with being one of Canada’s best speed racers. (planes) Uncle Duke actually joined the Canadian Army when WWI broke out, but was given an honorable discharge when it was discovered he was only 14 years old. He then sailed for England and joined the Royal Flying Corps. Still to young to fly combat missions, he remained in the RAF as a flight instructor. Duke became a bush pilot and commercial aviator after the war. He teamed up with the famous speed boat racing team of Gar Wood, and was preparing for a transatlantic flight with co-pilot Phil Wood, when his backers pulled out, due to a couple other flights ending in tragedy. Uncle Duke had several daring rescues in Newfoundland, Greenland, and Northern Ontario during his bush pilot days. Dukes brother Ken, a flight sergeant, was the navigator aboard a Lancaster bomber that crashed during a bombing run for the Royal Canadian Air Force. 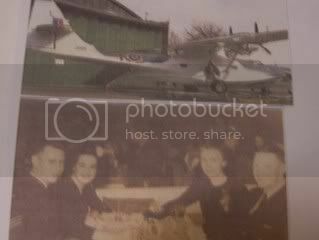 There is quite a lot of information on the Internet about my great uncle, and I’m finding out he wasn’t the only famous pilot on my mothers side of the family. I’m doing some research right now on two other uncles that made there mark on the history of aviation. John Grimes, if your reading this, tell me what kind of a bird this is. I’m not sure. I don’t think it’s a “Blue Heron.” Anyone got a guess? I just watched Susie Sorenson’s edited elk hunt from 2008, and is it ever good. This is the kind of quality filming that any outdoor enthusiast can enjoy. Check it out at the “Base Camp Legends” blog. Gary and Sue make a camp meal, in the Idaho mountains, like nothing you ever laid your hungry eyes on. Roast turkey, dressing, potatoes, gravy, talk about Thanksgiving! Art at “Simply Outdoors” gave his readers a little update on his now 8 month old daughter, and shared his apprehension about exposing her on his blog. I’ve felt that same apprehension due to the unknown factor lurking in the bushes. We’ve seen, here in Monroe, just what kind of “monsters” are out there preying on our kids. Better to be cautious and over protective than have your heads in the clouds. Kristine over at “Gun Safety Innovations LLC” has their logo wear in stock, and ready for shipment. Check it out. All of us members of the “outdoor Bloggers Summit” are pulling for you and your company to hit a home run. Well I was going to golf today, but the rain has changed that. Looks like it’s time to clean the garage. 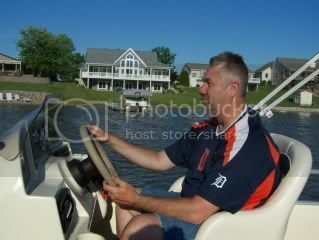 It’s that time of year again when many of you will be hitting the great waterways of our land. Boats, big and small, powered by wind, motor, or oars will once again need to be inspected before you sailors take to the water. Most seafaring vessels have been sitting all winter, and need a good “look-see” to make sure it is safe for you and your fellow crew. The main reason I bring this up is because it’s the little overlooked things that can put a huge dent in your outing on the water. I don’t own a boat myself, but we have a few in the family that do. Over the years I have done some inland lake fishing, and have cast a line into all of the Great Lakes. Here are a couple stories, that may keep you out of harms way, as this boating season gets started. Story number one: Several summers ago we were able to use a friends cottage on a small inland lake. He had a 14 foot aluminum boat, that was laying on the shore, in front of his cabin. I was taking one of my daughters out for some early morning fishing, and flipped the boat over to get it ready. Of course a nice fat water snake was under it, and scared my daughter pretty good. We got it ready, poles, tackle, life jackets, oars, and net! We were ready. I shoved off from the dock and we headed to a grassy area across the lake. About half way there I looked down to see water surrounding my feet! Opps! I forgot to check the plug. I found it, in place, but the rubber that formed the seal was “dry rotted,” and we were taking on water fast. Rowing is not easy when there is an extra 200 pounds of water sloshing around the bottom of your craft. I made it back to shore, and I never fail to check the drain plug anymore. No matter what lake you are on make sure you have the legal limit, and size, lifejacket for each person on the boat. Inspect those jackets to make sure they will keep you and your passengers afloat. Lifejackets can, and do, go bad. No sense in having them aboard if they won’t do the job. If you are pulled over, and inspected by the C.O. you will get a ticket for missing lifejackets. Lastly it is good to inspect your gas lines for dry rot. Better to have a leak by the dock, than in the middle of the lake. It also is advisable to check your prop for wear, dents, and make sure the pin is properly attached. I’m no ship Captain, but those are a few of the “easy” fixes I have come across, over the years, that can save grief later on. If you pay attention to the little things you too can enjoy the waterways (like brother Brett in picture) this summer. 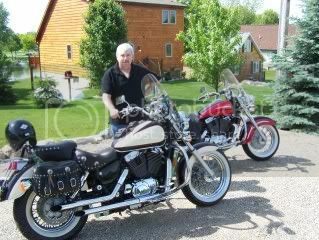 Took a motorcycle ride over to my brother Brett’s cottage this past Friday, and returned Saturday afternoon. He had some plumbing issues that I was able to take care of for him, and quite frankly we both needed to get away. Brett is a retired police detective, and the Nevaeh Buckanan murder has really bothered us both. It was good to be in an atmosphere of peace and serenity, but that didn’t get our minds off this little sweetheart of a girl. We ended up talking at great length about the ongoing investigation, and Brett had some great insights. He’s been retired less than a year, and his instincts are still keen as ever. I know he’d like to help track down the perpetrators, and bring them to some kind of justice. He laid some of his detective thinking on me, and ran a couple of very possible scenarios by my own theories. Can’t talk about them here. Of course nothing can ever bring little Nevaeh back, and that is the only real JUSTICE that could really matter! The cruel, heartless, sub-human that did this has forfeited his right to live in this society, but Michigan lacks the death penalty. The only thing our justice system can do now is make sure the killer, or killers, are never allowed among us again. We took a cruise on his pontoon boat, and were able to enjoy a moment discussing other things, but are minds were never far away from thinking about this unbelievable SIN against all mankind. We both shed tears of sadness and grief for this little angel and her loved ones. To think that there are others out there, that if given the opportunity, would do the same thing. There are truly “monsters” among us! Parents, grand-parents, aunts, uncles, cousins, brothers & sisters, are job just got harder and more intense. You can’t let your guard down for a moment. There is a scripture that says “Be diligent, for your adversary the devil walks around like a roaring lion, seeking who he can devour.” The key here is “being diligent!” Don’t let your guard down for a minute. Our kids and grandkids are depending on us. It is very hard right now for me to keep my thoughts straight, as Nevaeh Buchanan has been found murdered. 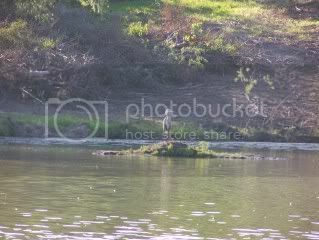 Late this afternoon a fisherman discovered a concrete covered “little” body near the banks of the River Raisin. It’s in an area we call the “high-banks” due to the distance from the road to the water. This community has been holding onto hope these past 11 days for a miracle. A miracle that would bring this little angel back into the loving arms of her grandmother. Her mother lost parental rights due to a jail sentence and her lifestyle. 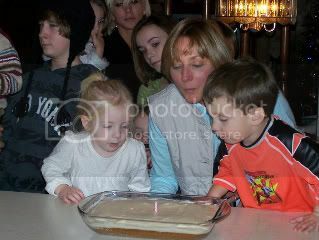 Her dad had not seen her in at least 2 years, which left the grandmother with a huge responsibility. How my heart breaks for all those that “truly” loved Nevaeh. My only consolation is that her loving Heavenly Father is showering her with all those things she missed on earth. Nevaeh is actually Heaven spelled backwards. Humanity has a huge void, due to the loss of such carefree innocence to such a sub-human act. The monster, or monsters, that took it upon themselves to prey on such sweetness, are void of any mercy, kindness, or human compassion. They are ruled by their lack of control, self gratification, and hellish desires. I do not think of them as having the soul or spirit of a human, but have become depraved to the point of being more demonic in nature. How else can you explain this kind of evil. God will not be mocked and Justice will be proclaimed against the darkness that hides from the light! Rest little angel baby. You deserved so much. The world is less of a happy, peaceful, place with out you.